Ground beef made for a surprisingly delicious country-fried “steak”. If you can, definitely choose organic ground beef (100% grass fed). This was a hit at the dinner table! Makes 5 to 6 steaks. Buttermilk is used for the Beef Mixture, dredging and gravy. You’ll need 1 /12 cups (325 mL) buttermilk, divided. Heat 1 teaspoon oil in a large skillet to medium-high. Saute the onions until soft 4 to 5 minutes. Add parsley and saute another minute. Push onions to edge of skillet, lower heat to medium and add another teaspoon oil then add garlic onto oil. 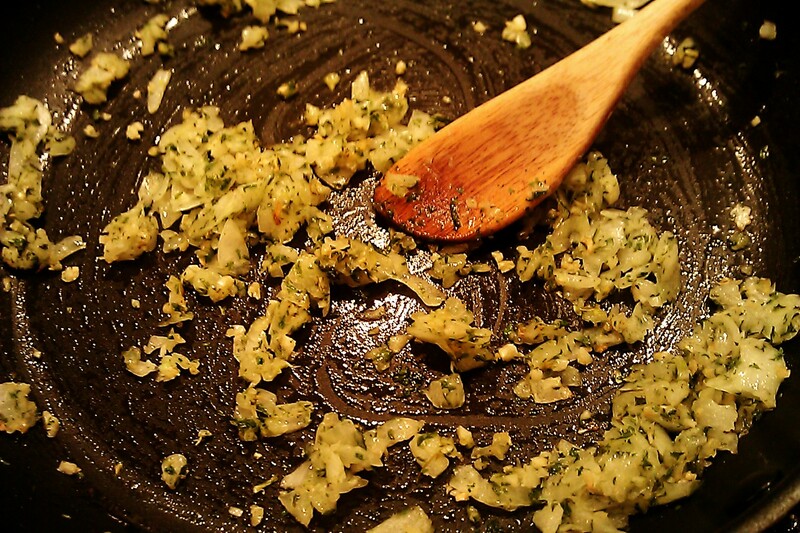 Saute garlic until it begins to brown about 2 minutes then mix in with the onions. Remove from heat and set aside. 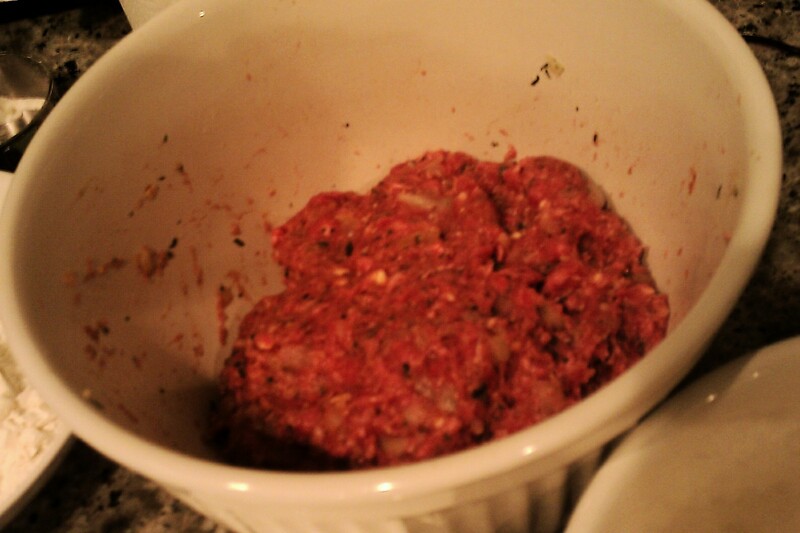 In a bowl combine the cayenne, pepper, salt, buttermilk, egg, 1/4 cup cracker crumbs, Onion Saute Mixture and beef. Mix well using your hands and fingers. Shape the Beef Mixture into 5 or 6 irregular-shaped patties. Tip: Put some flour on your hands, roll beef into a ball, then mash it with your palm onto the flour. Dredge each patty into (1) flour, (2) buttermilk, (3) crushed crackers. The crackers adhere to the buttermilk quite nicely. 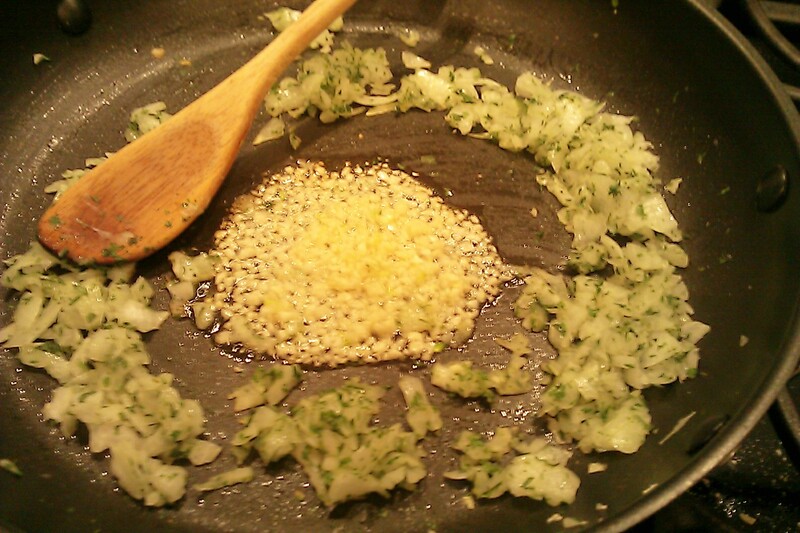 In the same skillet where you sauteed the onions, heat oil to medium. Place patties on skillet and cook 5 minutes each side. Remove patties onto a plate lined with paper towels to soak up excess oil. Then remove excess oil from skillet to prepare your gravy. In the same skillet add flour, broth, Adobo seasoning and pepper. Bring to a simmering boil, whisking constantly 1 to 3 minutes. Add remaining 1/2 cup buttermilk and bring to a simmering boil again, whisking constantly 1 to 3 minutes. Remove from heat and pour into a blender; blend on High for 15 to 20 seconds until smooth. Return gravy to skillet and heat to a boil for another minute, stirring constantly. Your gravy should be thick and smooth, not thin and runny. Serve your steaks topped with gravy or served on the side. 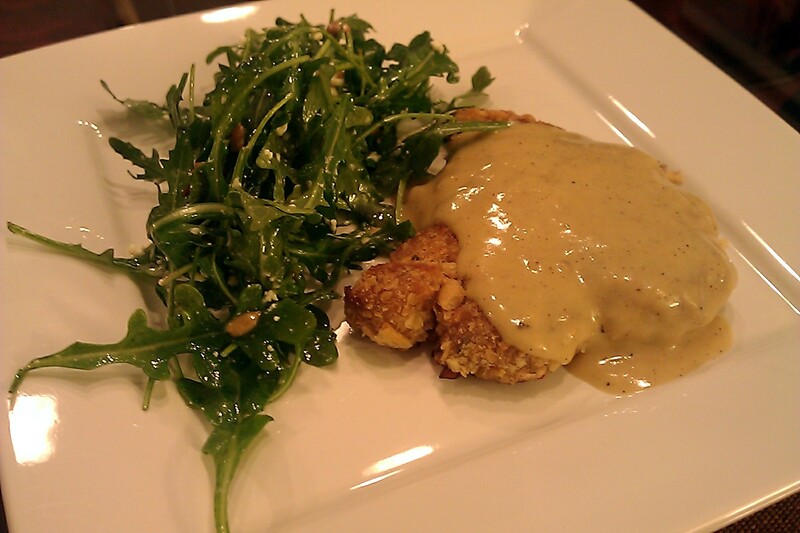 This looks like a winner & I love the idea of the gravy with it. My husband is always hoping for gravy (with everything). Thanks, Diane! My husband will end up mixing the gravy with everything else on his plate. This recipe probably would have looked more “authentic” with mashed potatoes on the side but we try to have salad every day. That’s too funny because Sat. 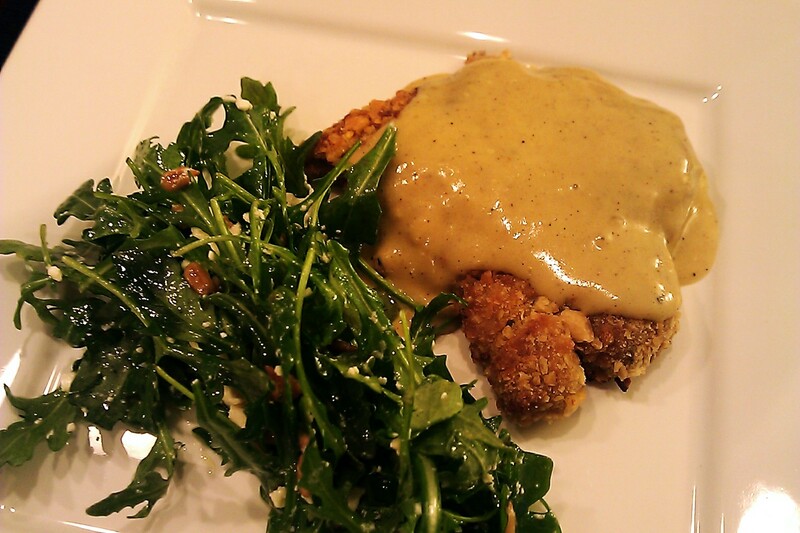 I made a roast stuffed chicken & did gravy – my husband’s plate was swimming in it. I think if I’d made a salad, there would have been gravy on that too. Looks delicious! I like your “food in progress” photos… When following a recipe, I often wonder if I’m doing it right, so that’s helpful! Thanks! Sometimes l include a few step-by-step photos and I agree they do help. This one is really a great recipe. Peaches falling off the tree? Don’t waste them, share on Playndirt!